Bring a Qualified Guest* Half Price! Special Ends Tues, Feb 9th at Midnight! We will be in Tampa on February 12th, 13th & 14th for our 3 Day ABLE Mentoring Crash Course at the Doubletree Suites Tampa Bay located at 3050 N Rocky Point Dr W, Tampa, FL. During those 3-days, we will train you on how to implement our ABLE strategy immediately, and show you how you too can make a minimum of $10,000 for every deal you do. I have two passions outside of my family and religion… Perfecting the ABLE exit strategy, and seeing others succeed using the ABLE system. My team and I are going to give you 110% during these three days! We are offering all of this for NOT $1995, NOT $995… Just $297 for Tampa REIA Gold Members, $397 for Silver Members and $597 for Non-Members. Based on your Minimum Payday of $10,000, the ROI on this training can be hugely significant. You simply cannot find a more applicable and sound investment strategy in today’s real estate investing world. Banking restrictions are more stringent than ever, and believe it or not, the FDIC is getting ready to raise rates. Even more reason “non-traditional” sales, for both buyers and sellers alike, are becoming the wave of the future when it comes to transacting residential real estate. The timing for this training could not be any better. We are excited to see you all on February 12th, 13th & 14th at the Tampa REIA. Please reserve your seat asap. Seats are limited and are on a first come first served basis. Mark off February 12th, 13th, and 14th and we will see you there! Download the January 2016 Edition of The Profit Newsletter Now! The January 2016 edition of The Profit Newsletter is now available for download as a High Quality PDF (print quality) or Low Res PDF for mobile devices. The Profit Newsletter is the official newsletter of the Tampa Real Estate Investors Alliance and is a digital, interactive newsletter for serious real estate investors delivered as an Adobe PDF file to read on your computer, tablet, or smart phone with a PDF reader. Many of the articles and ads in The Profit contain hyperlinks you can click to get more information online. The high res version of The Profit is “print ready”while the low res version may load faster on your mobile device. Also, be sure to Subscribe to The Profit so you don’t miss a single monthly issue. Hello Tampa REIA Members. 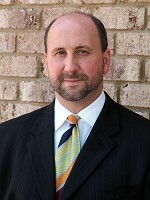 I am Scott Ulmer and I have been investing in real estate over 20 years. In that time, I have experienced some tremendous successes, and some tremendous failures as well. Let’s use that example of the restaurant giving away a free dessert or appetizer. They would usually sell that item for $4-$9, right? But then what? They drop the check, collect their money & say good-bye to the customer… Hoping that they’ll come back someday soon. Please stop what you’re doing and mark your calendar for the Tampa REIA Main Meeting on Thursday, January 14th at 6PM. The meeting will take place at the Doubletree Suites Tampa Bay located at 3050 North Rocky Point Dr West in Tampa, FL. At this meeting, Tampa REIA will have special guest speaker, Scott Ulmer, who will show you how you can use lease-purchases to make a minimum of $10,000 every time! Scott bought his first home when he was 14 years old, and started investing full-time right after high school. Since then he has done over 1,500 real estate transactions, specializing in non-traditional, creative, no-money, no-credit style deals. You won’t want to miss how Scott shows you how to develop immediate and massive cash flow in this new challenging real estate environment. All this is happening at the Tampa REIA Main Meeting on Thursday, January 14th at 6PM at the Doubletree Suites Tampa Bay located at 3050 North Rocky Point Dr West in Tampa, FL. We are looking forward to seeing you at the meeting!